BOSP Would Love Your Support! BOSP is almost entirely self-funded and is constantly researching and applying for grants, in order to keep the prices of sessions as low as possible for parents and carers. BOSP, however, relies on donations and fundraising to cover the remainder of the costs. So any help you are able to give is much appreciated. Make a regular donation to BOSP: You can make a regular donation via the red Donate button on our Home Page or you can print off the standing order form below and send it into The BOSP Office at the above address. Payroll Giving allows you to give directly to BOSP from your salary before tax is deducted. Therefore your donation goes further. So if you wish to donate £10 a month, it will only cost you £8 from your net pay if you are a basic rate tax payer or just £6, if you are a higher rate tax payer. Payroll Giving is easy to set up and you can change your donation at any time by informing your HR department at work. Please download BOSP's Payroll Giving form below, returning a copy to your employers. We know that your first priority when making a will is to provide for your loved ones, but many people find that even after they have done this, they are able to leave something to a cause they hold dear. Leaving BOSP a gift in your will is one of the most valuable and lasting ways that you can support us. It costs nothing in your lifetime, but will have a powerful impact for years to come. A gift of just 1% can make a life changing difference for children & young people with complex disabilities or critical conditions. Gifts to charity are tax free, so you may also reduce the amount of inheritance tax due on your estate. Whether you are considering writing your will or updating an existing one, we strongly advise that you use a solicitor. However, to make the process easier, BOSP can supply you with a free information pack that includes a Will Planner Guide, examples of wording and how to update an existing will. We can also help you to organise a collection of donations in memory of a loved one. If you are writing a letter of wishes, you can indicate that you would prefer that a donation be made to BOSP in lieu of flowers at the funeral. For more details please click on the ‘A gift in your Will to BOSP’ leaflet, or if you prefer please call The BOSP Office for an information pack. If you have paid income tax or have paid Capital Gains Tax that is at least equal to the amount of tax charities reclaim on gifts you have donated in the tax year, when you make a donation to BOSP we can reclaim the tax which has already been paid. 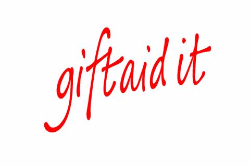 Please call The BOSP Office on 01277 624300 if you would like to complete a Gift Aid form so BOSP can claim back 25p in every pound that you donate.